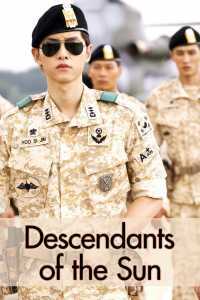 Descendants of the Sun (Hangul Taeyang-ui Huye) is a 2016 South Korean television series starring Song Joong-ki, Song Hye-kyo, Jin Goo, and Kim Ji-won. It aired on KBS2 from February 24 to April 14, 2016 for 16 episodes. KBS then aired three additional special episodes from April 20 to April 22, 2016 containing highlights and the best scenes from the series, the drama’s production process, behind-the-scenes footage, commentaries from cast members and the final epilogue.